The Smart Cities flagship modernization programme of the Modi government has taken a big toll in Indore, Madhya Pradesh. 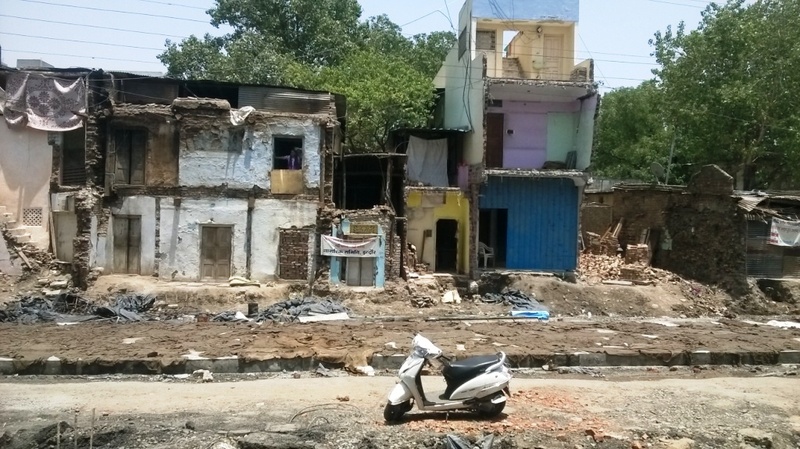 The Biyabani and Loharpatti areas in the old part of the Indore city have borne the brunt, with the demolition of 100-150 year old houses over the last two months. 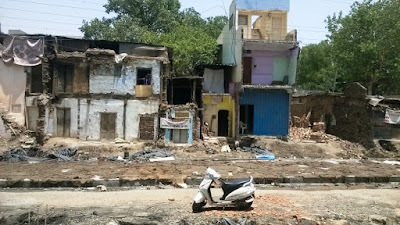 The demolition drive led to more than 100 families becoming homeless, with their shops/livelihood also in jeopardy. More than 18 roads in Indore are set to undergo a transformation and await similar the similar fate of demolition. The demolition, said to have been carried out without any democratic process consultation, has led to the local Nagrik Seva Samiti organize a foot march (pad yatra) in the ciy, in which social workers and academics across India, includng Ashok Dube, Tapan Bhatia, Bela Bhatia, SK Dube, Vijay Dalal, Pramod Bagnani and Medha Patkar participated. “Durgashankar, a resident of the area, witnessed his 65 year old house demolished along with his shop Bahaniya Arts. Another resident Kesarbai Rajendra Chauhan of Bhagat Singh Marg has lost 2 shops and his house”, the communique said. “Shyamabai Rathod, a widow who has been living on her own is now rendered homeless, while Kaliram Vaidya’s family, after whom one of the roads in the area is named after did not find any relief, neither from the in-laws of the state’s ex-Chief Minister nor from an active BJP worker, whose house has also been partly damaged,” the communique said. “Some of the residents approached higher authorities and also sought judicial recourse in response to the initial notification regarding the demolition only to find their pleas fall on deaf ears. In some cases, the court issued a stay order on the demolition only for a period of eight days, while in other cases it turned its back on the residents and directed them to the corporation again”, the NAPM said. While the local BJP MLA was of no help, the NAPM reported, adding, Mayor Malini Gaur, whose proposed multi-storeyed construction site, also in the area, remains unaffected. 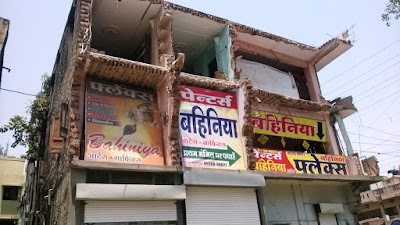 “On the other hand, Gowtam Kumar Jain’s shop opposite Gaur’s proposed multi-storeyed shopping and residential complex lies currently partly demolished and is set to be fully demolished in the coming months”, NAPM said. Suffering from open sewer and drainage problems, the demolition drive, said NAPM, has remained “complacent to the potential dangers of malarial epidemic in the area. “Sharp objects and rubbles from the demolition drive lie unattended to heightening concerns over children safety in the area”, it underlined.